Our solar pathway lighting solutions help keep your walkways and trails lit throughout the night. Grid-free lighting is ideal for pathways–as long as adequate exposure to sunlight is available, it can follow your walking trails wherever they might lead. Our engineers can design the appropriate configurations for your system so that it fully meets your needs and keeps your pathway well-lit. At Greenshine New Energy, we offer state-of-the-art lighting systems perfect for pathway lighting. In our Lita, Classica, and Bollard series’, you’ll find high quality LED fixtures that couple with solar panels for maximum efficiency and savings. Made of high quality, durable materials, these systems offer reliable lighting for narrow to wide areas and can withstand a variety of harsh weather conditions. Please visit our Solar Lighting Systems page for additional details and specifications. Our solar pathway light fixtures use CREE LEDs to provide a wide range of lighting intensity and distribution pattern depending on the environment. We provide various fixture styles for your pathway lighting application. GS-S-LITA – a pendant mounted, decorative LED site light. GS-LED-L30 – a pendant mounted, decorative LED site light. Greenshine’s solar LED pathway light systems are easy to install and require virtually no maintenance. Simply replace the battery every 5-7 years. Greenshine has developed smart power technology which provides up to 6 days autonomy. This means your pathway lights will continue to function at 100% for 6 straight days of cloudy/inclement weather. Solar pathway and walkway lighting eliminates costly trenching/wiring and is the perfect solution to provide security to your pathways. 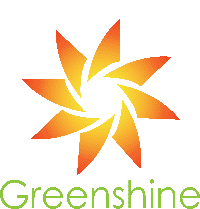 Greenshine has more than 30 years of experience in developing solar LED lighting systems. Our engineers will provide you with lighting photometric simulations, layouts specific to your application and appropriate system configurations for your local solar conditions. Our engineers are here to help! Check out more projects featuring solar lighting for pathways at Mammoth College. The installation looks beautiful and our pathways have never been brighter!